(Sunningdale, UK – September 28, 2012) European Golf Design (EGD) has been recognised for its role in creating the iconic Twenty Ten Course at the Celtic Manor Resort, recently rated the most popular golf destination in the UK by a leading golf travel company. Guests of the WaterColor Inn & Resort in Santa Rosa Beach, Florida now have access to two highly-rated private courses: Camp Creek, a Tom Fazio-stunner featuring coastal dunes covered in native grasses, and Shark’s Tooth, a Greg Norman signature layout that hugs the banks of Lake Powell. Enjoy preferred rates and a complimentary daily round of championship golf when you stay at the WaterColor Inn, Northwest Florida’s only AAA Four Diamond rated hotel. Choose between the Tom Fazio designed Camp Creek Golf Club, rated 14th Best Golf Course in Florida by GolfWeek or the Greg Norman designed Shark’s Tooth Golf Club, rated #7 Best Golf Course in Florida by Golf Digest. Both courses offer stunning dunescapes and challenging holes. Sandestin Golf and Beach Resort – the 2,400-acre resort featuring four championship golf courses on Northwest Florida’s Emerald Coast – is rolling out its Raven Experience golf package for the fall. For serious golfers and course collectors, it features a round at Rees Jones’ Burnt Pine Golf Club (a private club) and a round at Robert Trent Jones II’s Raven Golf Club (host of two PGA Champions Tour events). Prices range from $143 to $165. NAPIER, New Zealand—The Tiger Tour, golf’s most intriguing and expensive itinerary, will return for 2013 with an upgrade: private jet service between venues all across New Zealand’s North and South islands. Incorporating the best of New Zealand’s many attractions—including two of the top-rated golf courses in the world—the Tiger Tour features nine nights at three award-winning lodges and access to dozens of out-of-this-world destination options, including the famous glaciers of Milford Sound. The Tiger Tour is the vision of Julian H. Robertson, Jr., the American hedge-fund legend whose immensely successful Tiger Fund inspired the Tour’s name. Robertson’s 30-year love affair with New Zealand inspired him to develop the three luxury lodges and two world-class golf courses that form the Tiger Tour’s core. To all of this, The Tiger Tour adds an extra-special component: the unique, disarming charm of its Kiwi hosts. “The Tiger Tour is really Mr. Robertson’s invitation to see and experience this country as he sees it, and discover as he has the immense charm of New Zealand’s landscape and people,” said Ryan Brandeburg, director of golf at Kauri Cliffs GC in Bay of Islands, NZ, and its sister course, Cape Kidnappers GC here in Napier. The Tiger Tour by private jet, limited to a maximum of four couples, kicks off in Napier at The Farm at Cape Kidnappers on 11 March 2013. From there the Tour moves south to the alpine lake village of Queenstown, where guests stay at Matakauri Lodge, before proceeding to the subtropical far north and The Lodge at Kauri Cliffs. Pricing for this itinerary is NZ$24,900 per person (+15% NZ goods & services tax). The Tiger Tour conducted via commercial airline begins at Matakauri Lodge on 15 April 2013, before moving to Cape Kidnappers and concluding at Kauri Cliffs. The price tag for this option is NZ$13,900 per person (+tax) and space is limited to eight couples. Robertson started Tiger Management Corp., also known as The Tiger Fund, in 1980, with US$8 million in capital. By 1998, its holdings had climbed to $22 billion. After closing his Tiger Fund in 2000, Robertson started to use his own capital, experience, and infrastructure to support and finance (to “seed”) select up-and-coming hedge fund managers. By September 2009, Robertson has helped launching 38 hedge funds (“Tiger Seeds”) in return for a stake in their fund management companies. Apart from those Tiger Seeds, a considerable number of analysts and managers Robertson employed and mentored at Tiger Management went out on their own and continue to operate some of the best-known hedge-fund firms, known as “Tiger Cubs”. The Robertson family first ventured to New Zealand in 1978. The development of Kauri Cliffs, near the northern the tip of New Zealand’s North Island, came to fruition at the turn of the century. The golf club debuted in 2000, followed closely by The Lodge. The Tom Doak-designed Cape Kidnappers GC opened outside Napier in 2004, followed by The Farm at Cape Kidnappers a year later. Matakauri Lodge debuted in the South Island resort Mecca of Queenstown in 2010. While Tiger Tour 2013 provides an opportunity to experience some of the most unique, contrasting, untouched scenery on Earth—from private pink-sand beaches and spectacular volcanoes, to lakes, mountains and monolithic glaciers—the stars of the Tiger Tour are undoubtedly the five Robertson-developed properties that serve as hosts. 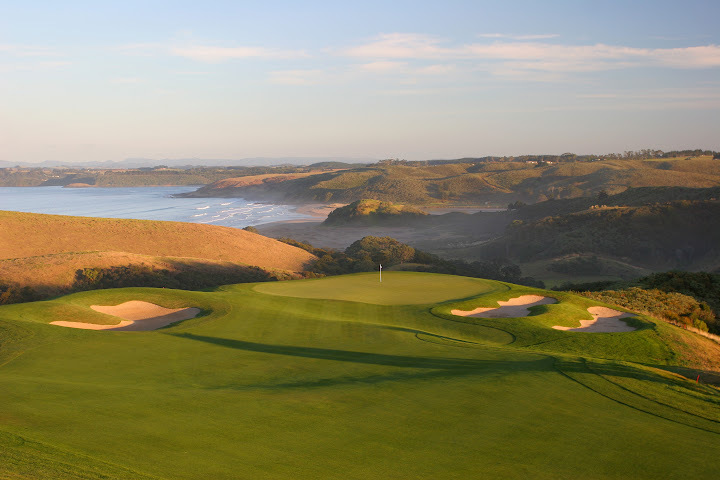 In its 2012 ranking of all golf courses located outside the United States, Golf Digest U.S.—the definitive source of world course rankings since it pioneered the practice in 1966—placed both Cape Kidnappers GC (#6), and sister club, Kauri Cliffs GC (#19), in its prestigious Top 100. The ultra-scenic Jack’s Point Golf Club represents the golfing option for Tiger Tour guests in Queenstown. * The Lodge at Kauri Cliffs, a veranda-wrapped plantation house with adjoining guest cottages, was named the 6th best hotel in the world, according to the 2011 Condé Nast Traveller readers’ poll, and this year received a first-ever perfect score for service, as part of Travel+Leisure magazine’s annual World’s Best Awards. * In 2010, The Farm at Cape Kidnappers was named to Travel+Leisure’s “World’s Top 50 Hotels”. It also earned Gold List status from Condé Nast Traveller for 2012. * Located in the heart of New Zealand’s Southern Alps. Matakauri would, within a year of its grand opening, earn a place on Condé Nast Traveller’s “2011 Hot List”, while simultaneously making a comprehensive N.Z. golf tour feasible. “We’re certainly persuaded that no golf tour can top the Tiger Tour in terms of golf course and accommodation quality, but the Tiger Tour is frankly far more than a golf tour,” Brandeburg said. “There are just so many incredible activities included in these two itineraries: vineyard visits, horseback riding, ocean sailing, jet-boating trips down the Dart River, and heli-tours of Milford Sound and Hokianga Harbour at the very northern tip of New Zealand. “Dining in all three lodges is a true gourmet experience. Merely exploring the properties at Cape Kidnappers and Kauri Cliffs, each some 2500 hectares in size, is something special. Where else would one be able to track and observe rare Kiwi birds in a natural habitat? Today, The PGA of America announced the Deluxe VIP PGA Grand Slam Experience package, a six-night excursion for golf travelers to the beautiful island of Bermuda to play multiple rounds of golf, while getting exclusive access to a season-ending showcase event that boasts the most difficult requirement in the game – a Major Championship victory. The 30th PGA Grand Slam of Golf, which returns to the Port Royal Golf Course in Southampton, Bermuda, Oct. 22-24, has featured past champions such as Tiger Woods, Phil Mickelson and Ernie Els. This year’s foursome is headlined by Masters Champion Bubba Watson, who will be joined by the winners of the U.S. Open Championship, June 14-17, at The Olympic Club in San Francisco, Calif.; the Open Championship, July 19-22, at Royal Lytham & St Annes in Lancashire, England; and the 94th PGA Championship, Aug. 9-12, at The Ocean Course in Kiawah Island, S.C.
(POUND RIDGE, N.Y.) – Pound Ridge Golf Club – the public Pete Dye-design in Westchester County – today announces a new stay-and-play package with the Stamford Marriott Hotel & Spa, starting at $214 (Fri. – Sun.) and $300 (Mon. – Thurs.). Located 15 minutes from Pound Ridge, the Stamford Marriott embodies an exceptional mix of New York energy and New England charm, while providing a memorable hotel experience for business, leisure, meeting and celebration needs. “The Stamford Marriott is a perfect match for Pound Ridge, providing convenient access to the course, elegant accommodations, fine dining and a spa where golfers can relax post-round,” says owner Ken Wang. Stay-and-play guests can take advantage of tee time booking via concierge or hotel staff, transportation options (rental cars, limousines) and complimentary rental clubs and golf shoes from Pound Ridge ($100 value). Hotel guests enjoy the flexibility of Pound Ridge’s weekday nine-hole rates of $80 (before 8:30 a.m.) and $60 (after 4:30 p.m.). Since opening in 2008, Pound Ridge has earned world-class accolades from Golf Digest, GOLF Magazine, Golfweek, AskMen.com, Rolex and LINKS Magazine. It quickly emerged as a “destination golf course,” sought out by serious golfers collecting the world’s best golf experiences. Advance golf reservations are needed 48 hours prior to weekend tee times (Fri. – Sun.). Forecaddies are available upon request by calling the pro shop at least 24 hours before a booked tee time. For Stamford Marriott Hotel reservations, please call Peter Griffith at 203.977.1217. For tee times or more info on Pound Ridge, visit http://www.PoundRidgeGolf.com or call 914.764.5771. Crafted by Dye, his son Perry and long-time Dye construction manager/lead shaper Michael Langkau, Pound Ridge Golf Club is a full bentgrass facility, hewn from 172 acres of magnificent cliffs, streams and wooded hills. Dramatic rock formations and boulders were left on-site, creating one of the most visually stunning settings for golf in the U.S. More than 14,000-linear-feet of rock wall surrounds trees, wetlands and water hazards. These frame contoured fairways which wind through hardwood forests and fescue mounds leading to open meadows with picturesque green complexes. Pound Ridge Golf Club plays to a par-72 and houses five sets of tees and measures 7,165 yards. It boasts a practice range, short game area and putting green. The property features some of the highest points in Westchester County, with a number of tee boxes offering expansive vistas of the surrounding countryside. Notable holes include the par-5, 13th – home to “Pete’s Rock,” a giant boulder that rests in the middle of the fairway – and the par-3 15th – dubbed “Headstone” – which is flanked on the right by a large rock outcropping that protrudes into the elongated, 9,000-square-foot green. DUBAI, Feb 2 – Jumeirah, the Dubai-based luxury hospitality company and member of Dubai Holding, is working with ‘golf in DUBAi’ as the official caterer and hospitality partner for the Omega Dubai Desert Classic to be held at the Emirates Golf Club from February 9 to 12. Jumeirah Hospitality and Madinat Jumeirah will provide world-class catering and hospitality for the event. With the 22-year-old golfing sensation Rory McIlroy, who incidentally won his first European Tour title in Dubai in 2009, as their global brand ambassador, Jumeirah Group believes that the development of golf is an essential ingredient in the growth of Dubai as a destination for international investment and tourism. Mohamed Juma Buamaim, vice-chairman and CEO of ‘golf in DUBAi’, commented: “The Omega Dubai Desert Classic provides a worldwide exposure to the city of Dubai, in general, and the sponsors in particular, creating interest for people to visit Dubai. Thanks to Jumeirah, the players always have a wonderful opportunity to savour the incomparable hospitality standards of the region,” he added. 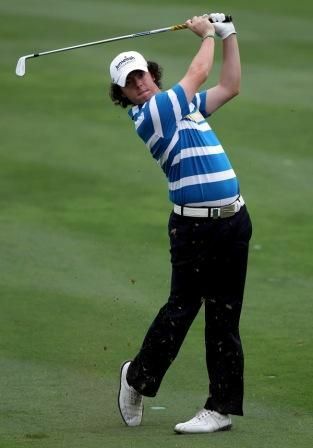 ‘golf in DUBAi’ is backed by Omega as the title sponsor and Dubal (Dubai Aluminium) as the sponsor. The co-sponsors are: CNN, Gulf News, Emirates NBD, Jumeirah Group, Mercedes-Benz and wasl while Dubai Duty Free, Carpetland and Motivate are the Patrons (in golf in DUBAi’s) drive to showcase the emirate’s vibrant golfing scene to a worldwide audience. ORLANDO, Fla. – November 14, 2011…The acclaimed Faldo Golf Institute (FGI) by Marriott, one of the nation’s leading golf schools created by legendary Six-Time Major Champion Sir Nick Faldo, today announced that TrackMan Pro has been installed at the Orlando, Fla., facility, located at Marriott’s Grande Vista resort. Using Doppler radar – the same technology employed by the military for tracking missiles – TrackMan analyzes the golf swing and entire flight of the ball from impact to landing, displaying the ball’s 3D trajectory in real time, while delivering 22 swing and ball flight parameters/data points on every shot. TrackMan Pro, which features TrackMan Performance Studio software, will be incorporated into FGI’s golf programming, as the team of Faldo certified instructors will utilize the system for video and numerical swing analysis. All Faldo certified instructors will be fully trained on TrackMan capabilities, including instruction, fitting, and skill-assessment best practices, to ensure the new technology is properly integrated into the curriculum, as TrackMan’s two software packages are considered the industry standard for precision, stability and ease of use. TrackMan Pro is the choice of the PGA Tour, USGA and R&A for swing and ball flight analysis. A staple on professional tours, with leading club fitters, manufacturers, retailers, universities, academies, instructors, players and broadcast TV, TrackMan Pro is considered the industry standard for accuracy, flexibility, reliability and ease of use. Recognized by Golf Digest as one of America’s 100 Best Clubfitters, the renowned Clubfitter’s WorkshopTM is offered so each student is properly fit with equipment that will help them reach their full potential. Randy Doucette, hand-picked by Sir Nick Faldo himself, has served as the Master Clubfitter at the Orlando, Fla., location since its inception, and has worked closely with many Tour players and celebrities to ensure they are equipped with a properly fit set of clubs when teeing it up. The addition of TrackMan Pro adds a new dynamic to the club fitting experience. Faldo Golf Institute by Marriott combines the teaching philosophy of the legendary Sir Nick Faldo with the world class service and hospitality of Marriott International to provide a full-service golf school experience perfectly suited for golfers of all ages and abilities. From low-handicap elite golfers seeking a competitive advantage, to newcomers to the game seeking an introductory program that is matched to their needs, the Faldo Golf Institute offers distinct learning programs for everyone. With locations in Orlando, Fla. and Palm Desert, Calif., Faldo Golf Institute by Marriott combines the teaching philosophy of the legendary Six-Time Major Champion Sir Nick Faldo, with the world class service and hospitality of Marriott International, providing expert instructional programming at two desirable Marriott Vacation Club destinations. From low-handicap elite golfers seeking a competitive advantage, to newcomers to the game seeking an introductory program that is matched to their needs, Faldo Golf Institute offers distinct programs for everyone. For more information on all programs and packages offered by Faldo Golf Institute by Marriott, golfers should call 888-463-2536, or visit GoFaldo.com. Marriott Golf manages 60 golf courses at 44 locations in 12 countries, offering more than 1,000 holes of championship golf. Marriott has been managing golf operations since 1970 and is one of the world’s premier golf operators. Marriott provides golf management and consulting services to a variety of operational environments including resort, private club, daily fee, golf school and franchises. 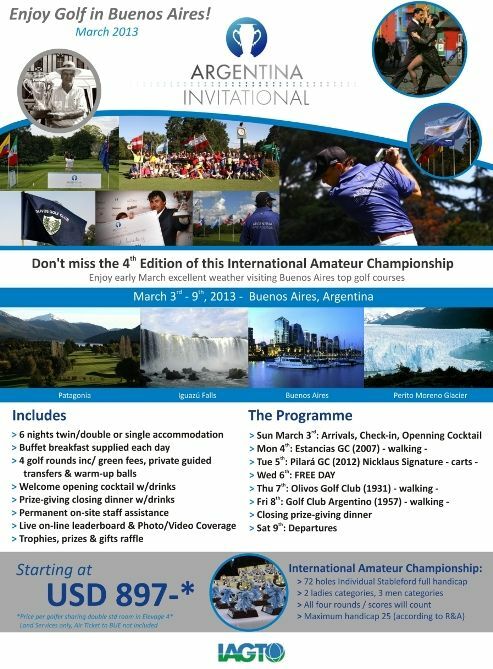 For more information, visit http://www.marriottgolf.com. Click here for Marriott International, Inc. (NYSE:MAR) company information. TrackMan™ is an easy to use indoor/outdoor radar-based solution for analyzing the impact conditions and resulting ball flight in golf. TrackMan™ provides the industry’s most accurate real-time data and graphics on ball launch, flight, and landing. TrackMan A/S, headquartered in Vedbæk, Denmark, is the developer and owner of TrackMan™ technology. TrackMan™ technology includes a comprehensive patent portfolio of granted patents and pending patents applications. LĂNG CÔ, Vietnam, 16 November 2011 — The developers of Laguna Lăng Cô have followed on the Angsana Properties Lăng Cô Sales Launch in late September with notice of the first property purchases, and a timeline for resort and golf course openings in 2012. Developed and managed by the Banyan Tree Group, Laguna Lăng Cô will, upon completion, be the first fully and legitimately integrated destination resort in Vietnam. It will also be the largest, with more than 2,000 hotel keys under the management of eight international branded hotel and resort operators, award-winning spas, an 18-hole championship golf course designed by Sir Nick Faldo, resort residences, convention and recreational facilities. Banyan Tree Group marked an important milestone in the success of this project when, on 23 September, the first investor purchased a Pool Deluxe apartment at Angsana Properties Lăng Cô. Mr. Michael Ayling, Managing Director of Laguna Resorts & Hotels PLC, indicated this first sale and others are consistent with Banyan Tree Group’s expectation that 70 percent of Phase I buyers would be Vietnamese nationals. “The level of customer interest prior to and throughout the late-September launch was very high indeed, so it was gratifying to confirm this first sale and reserve several more,” said Ayling, who spoke on site in Lăng Cô, along with the golf course designer Nick Faldo, to a gathering of around 40 domestic and international media. • Angsana Properties Lăng Cô is the initial Phase I product to be launched. 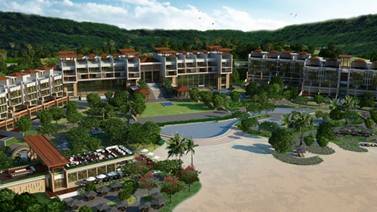 It is a condominium-style resort with a total of 197 units, to be open in mid 2012. • The Nick Faldo 18-hole Championship golf course will come second. It too, is slated for a grand opening in the second quarter of next year. • Banyan Tree Lăng Cô, a sophisticated portfolio of 129 high-quality villas designed in harmony with the surrounding landscape, will launch sales in early 2012. It’s worth noting, Ayling explained, that sales at Angsana Properties Lăng Cô were initiated only when construction of the apartments were all but complete; only the furnishing aspect remains. Unlike many resort ventures, in Vietnam and elsewhere, construction progress at Angsana Lăng Cô is funded through an internal development fund in excess of US$200 million, meaning the realization of the property component, the resort and golf course are not dependent on property sales. According to Ayling, this first apartment owner at Angsana Properties Lăng Cô, and all those to follow, are all entitled to membership in the Angsana Properties Owners Club, wherein members can book complimentary stays at other Banyan Tree and Angsana resorts around the world. More relevant to their investment, owners are guaranteed a 6% fixed return for 6-years, and 60 days of complementary use every year. When owners are offsite, Ayling explained, purchased properties are included in the hotel inventory, where Angsana management looks after the investment. Returning to Lăng Cô for the second time in 12 months, Faldo was able to inspect the rough shaping work now complete on 14 of the 18 holes. “This golf course is shaping up nicely and already has some wonderful movement,” said the 6-time major champion, following his September site visit. “The diverse character of the terrain allowed us to incorporate some very interesting and unusual features. “In addition to several views of the ocean, golfers will experience the course’s amphitheatre-like mountain backdrop and the rich variety of woodland, scrub and rocky outcrops that feature throughout the round,” Faldo added. More information on Angsana Properties Lăng Cô may be found online at http://www.angsanaproperties.com. Sales enquiries may be directed to Hanoi hotline at +84 90 665 9988, and Ho Chi Minh Hotline at +84 90 685 9988. Banyan Tree Holdings Limited (“Banyan Tree” or the “Group”) is a leading manager and developer of premium resorts, hotels and spas in the Asia Pacific, with close to 30 resorts and hotels, 65 spas, over 80 galleries and 3 golf courses. The Group manages and/or has ownership interests in niche resorts and hotels. The resorts each typically has between 50 and 100 rooms and commands room rates at the high end of each property’s particular market. The Group’s primary business is the management, development and ownership of resorts and hotels. This is centred around two award-winning brands: Banyan Tree and Angsana. Banyan Tree also operates the leading integrated resort in Thailand – Laguna Phuket, through the Group’s subsidiary, Laguna Resorts & Hotels Public Company Limited. Angsana Properties is a property brand that caters to the modern traveller seeking style and authenticity. Comprising contemporary and chic retreats, Angsana Properties are designed to create and deliver vibrant enlivening experiences for guests at work and at play. Each Angsana hotel, resort, spa and retail gallery exudes the spirit and experiences of its environment, while offering a strong sense of individuality infused with our Asian heritage. Facilities and services at all Angsana Properties are focused on enabling guests to draw the most of every moment. Managed by the Banyan Tree Group, Angsana Properties Lăng Cô is the first launch of the Angsana Properties brand worldwide, to be followed by Angsana Properties Phuket and Angsana Properties Bintan at the end of 2011.